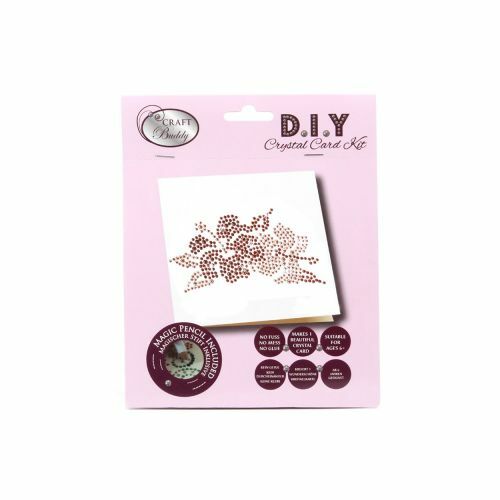 This sparkly Beads Direct Double Flower Crystal Card Kit works just like ‘paint by numbers’. Using the magic pencil included, simply pick up the flat back crystals and place them onto the adhesive card in the corresponding colour/number mark – the crystals will instantly adhere. The result is a beautiful card that is perfect for a special birthday! Your kit will make 1 crystal card. Please note you may need some additional craft glue for larger crystals.